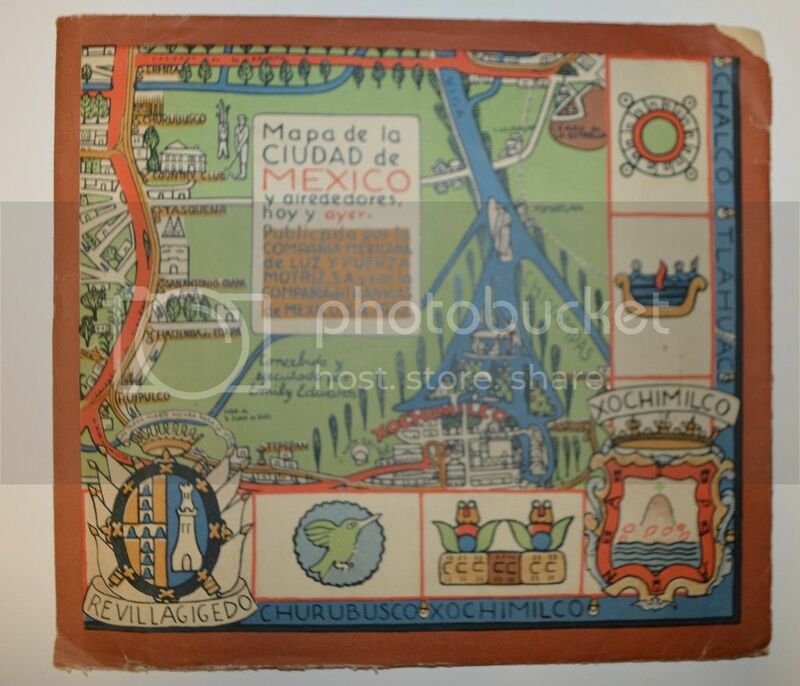 I have picked up a few pictorial maps in the course of collecting material related to Mexico. I encourage anyone else to share their maps in this thread. 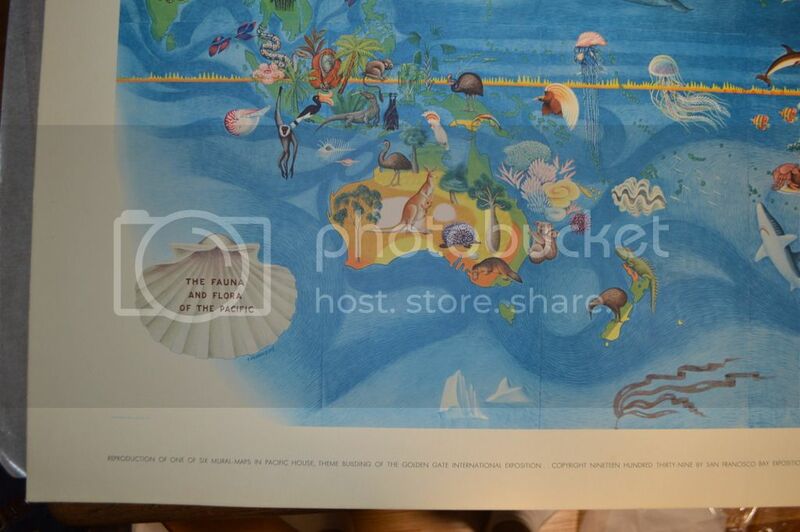 First up is a map of "Fauna and Flora of the Pacific". 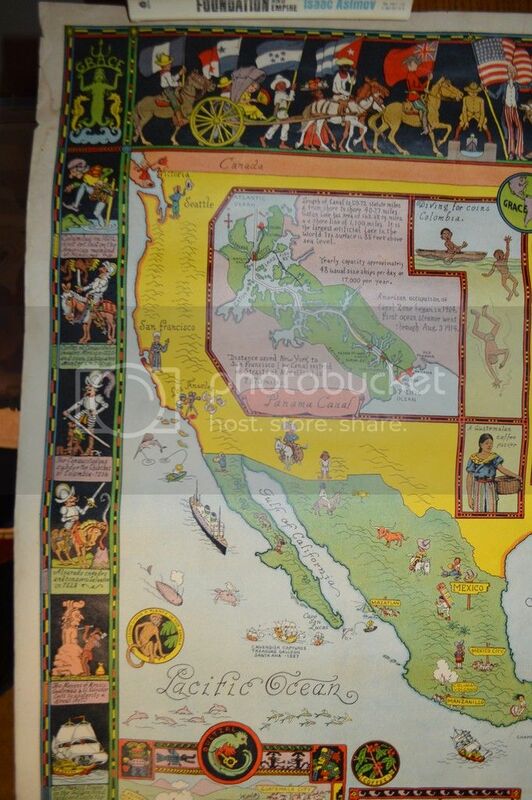 This was designed by the Mexican artist Miguel Covarrubias, and is part of a folio of 6 maps of the Pacific that were produced for the Golden Gate International Exposition in San Francisco in 1939. 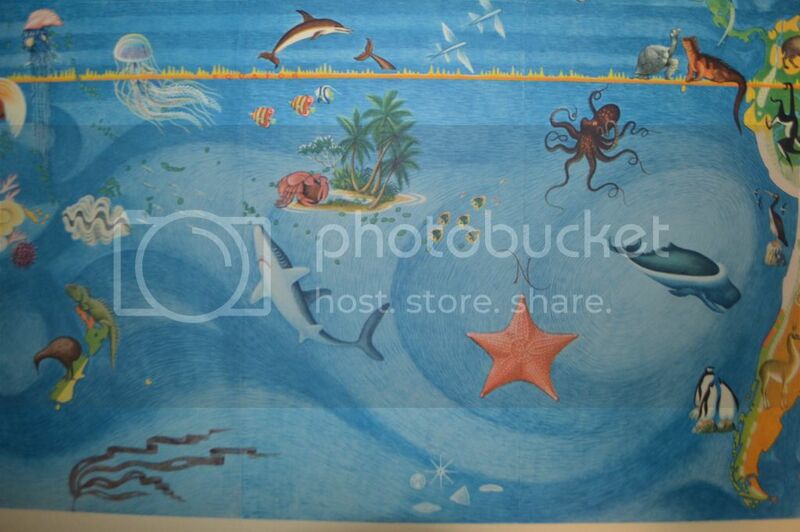 This one is headed for the wall of my daughter's bedroom once I purchase a suitable frame. Like most toddlers, she is pretty obsessed with all animals. 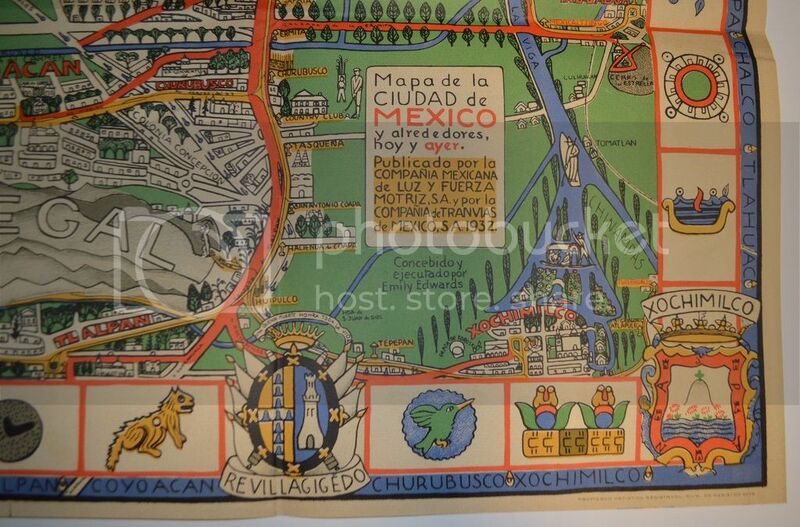 Here is one more, a Pictorial Map of Mexico, designed by artist Miguel Gomez Medina. The design is originally from 1931, though I believe this is likely a later printing from the same publisher. 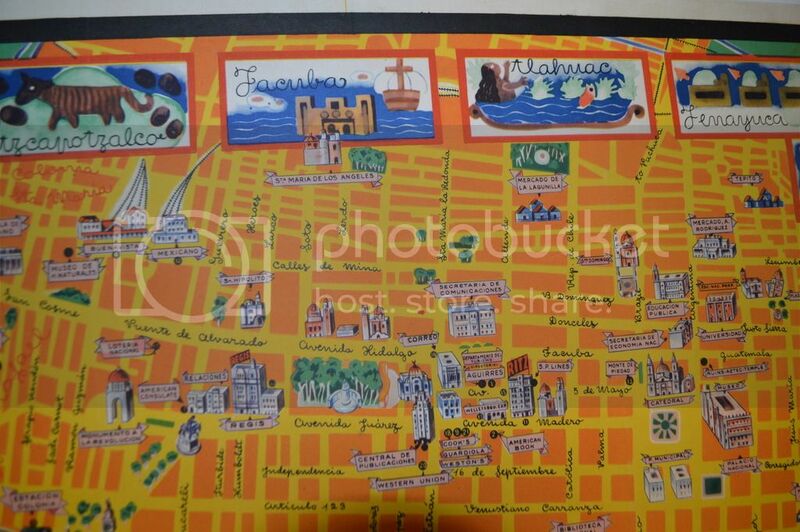 My one other pictorial map, this time of the Federal District of Mexico. 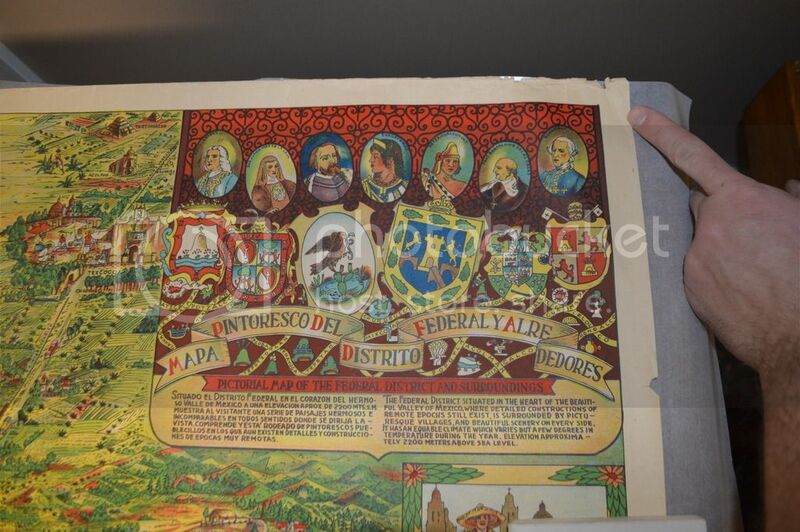 Also by Miguel Gomez Medina, possibly a later printing of the original design from the 1930's. Did you find these maps at various times, Deke? Or were they a group that you happened to come across? 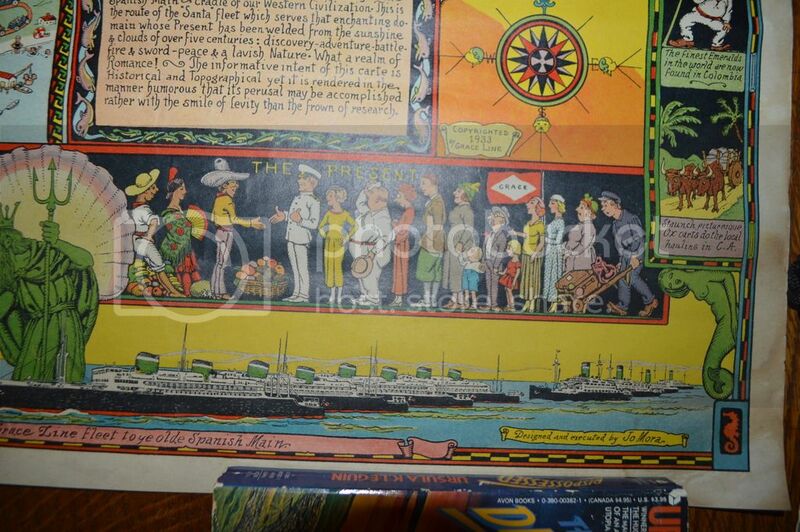 All have really vibrant color and quite the detail, that's for sure. 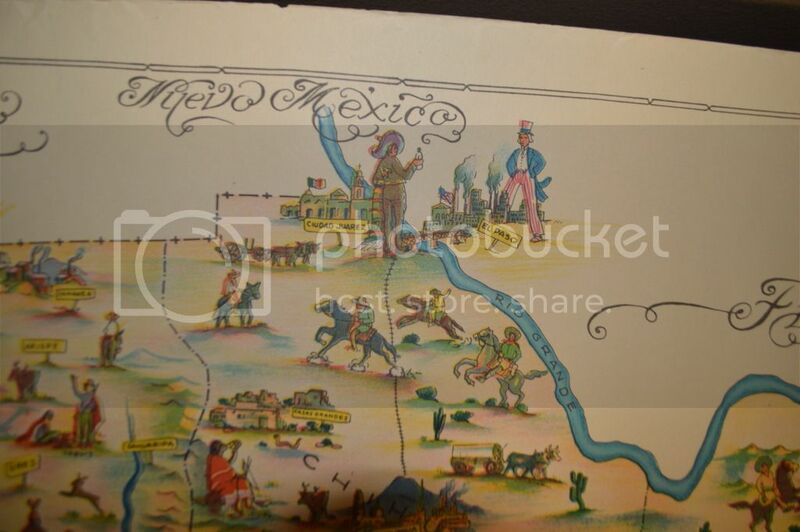 I bought the Mexico and Mexico City (DF) maps from the same seller. 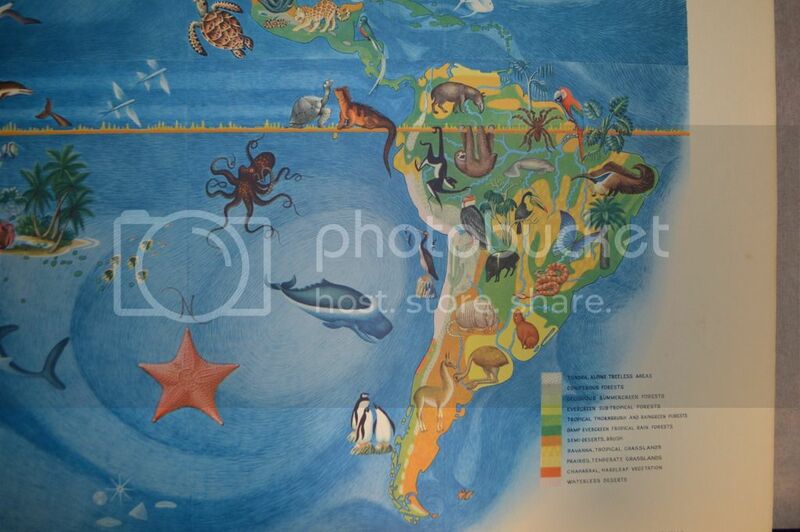 I found the map of the Pacific separately. They do have a nice look to them and could blend in more readily with your decor (as your wife is probably thinking ). Is there a way you can pinpoint what year they were printed? I know you thought one might be a later printing of a 1930's one. 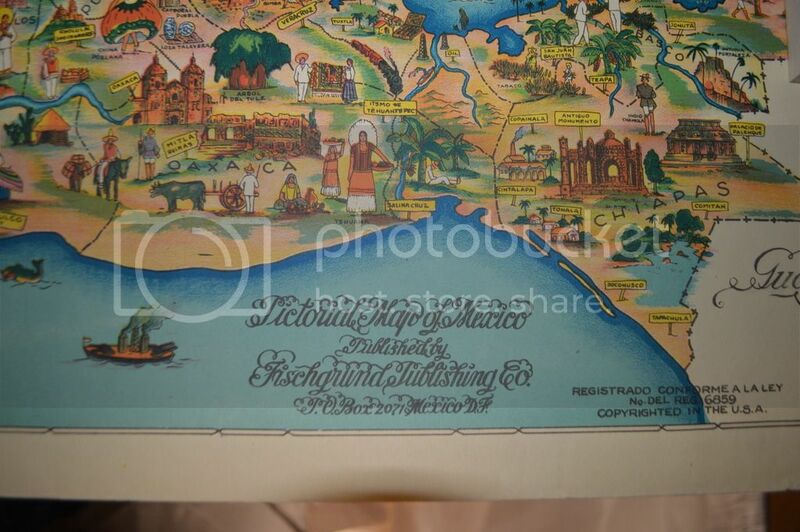 I have found other images online that show small differences in copyright registration notices, publisher details, etc. 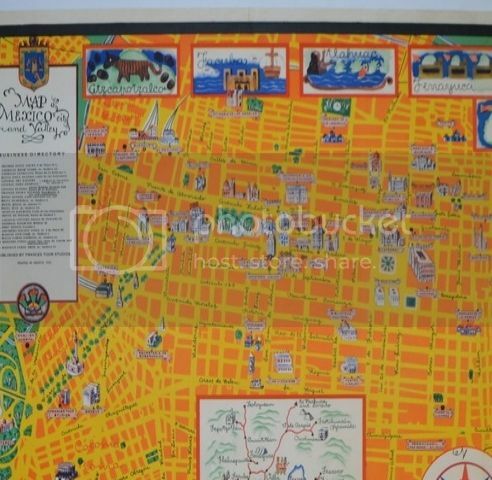 There is a guy named David Rumsey that has an amazing collection of maps all with high resolution images available online. Apparently, he donated his collection to Stanford recently. So it is probably possible for me to at least settle on a decade for my copies, but I haven't put in much detective work yet. 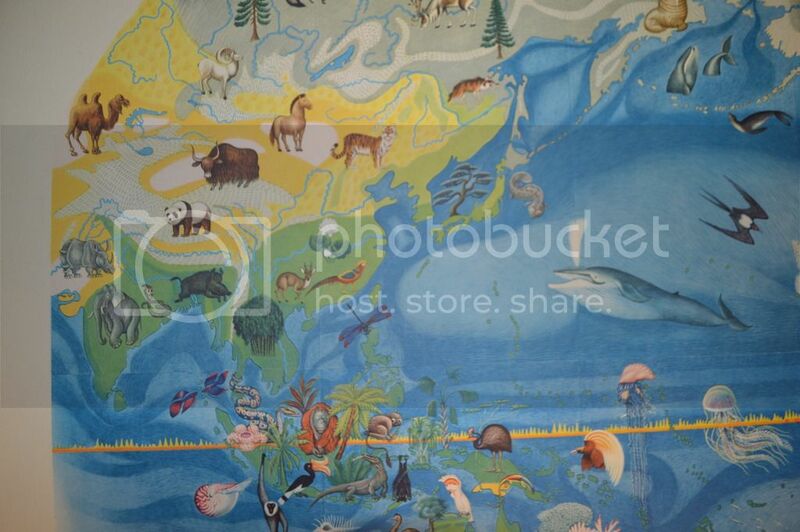 A very cool site there with the variant images. And nothing better than hi resolution imagery to help with the work. Good luck in the research. 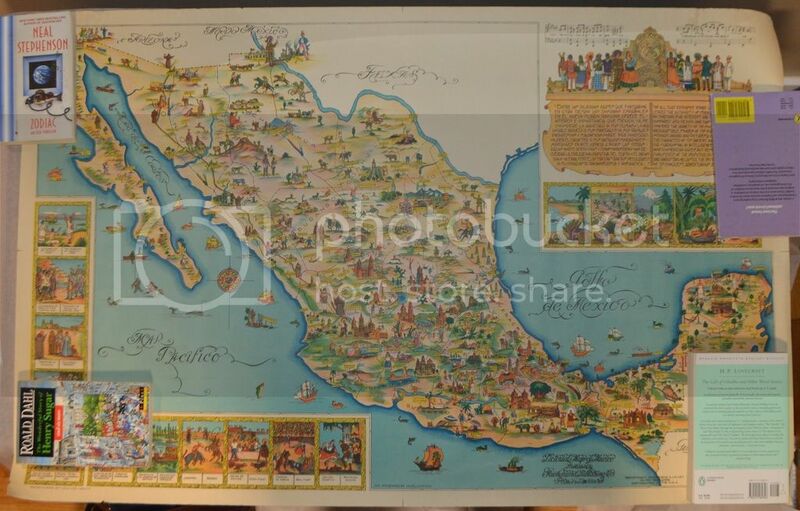 Yet another pictorial Mexican map. 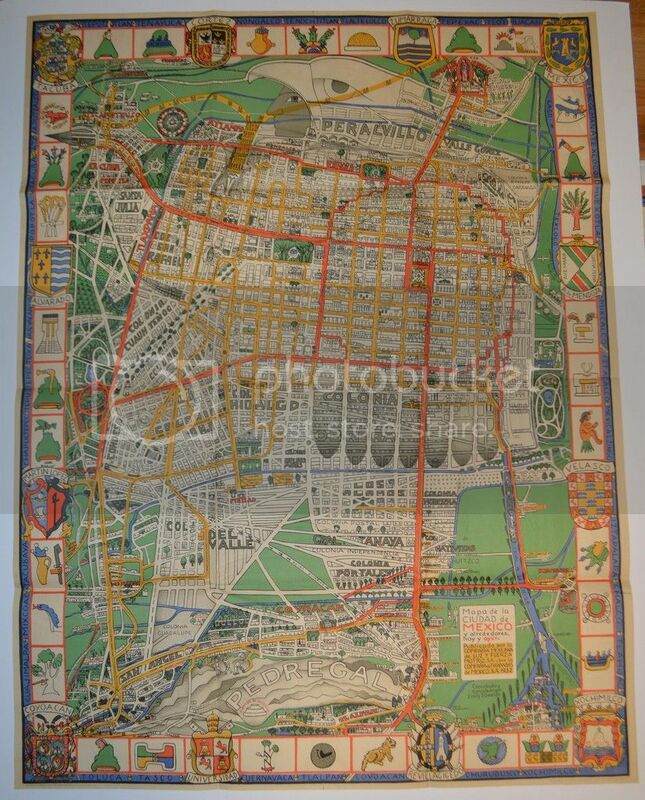 This is a 1930's map of Mexico City which includes a business directory. This one is for the Angelenos. This has to be my new favorite map. In fact, I think I will have to double-post it in the favorite acquisitions of 2017 thread. 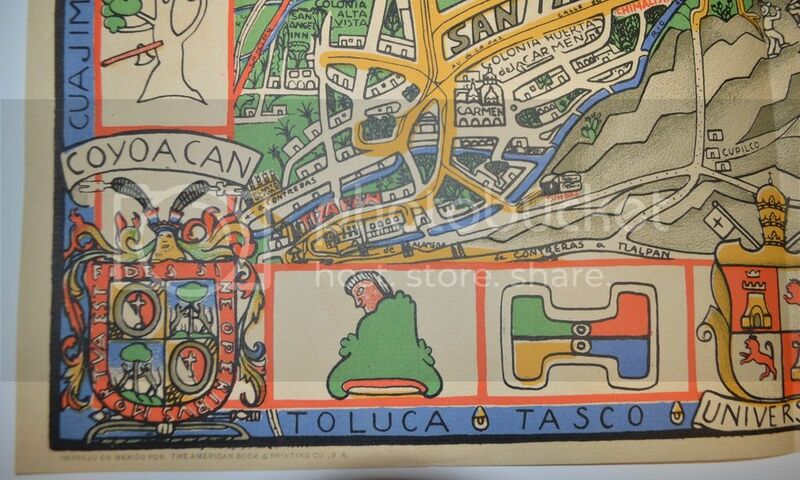 1932 map of Mexico City, where the city plan is stylized in the form of an Aztec warrior. How cool is that? 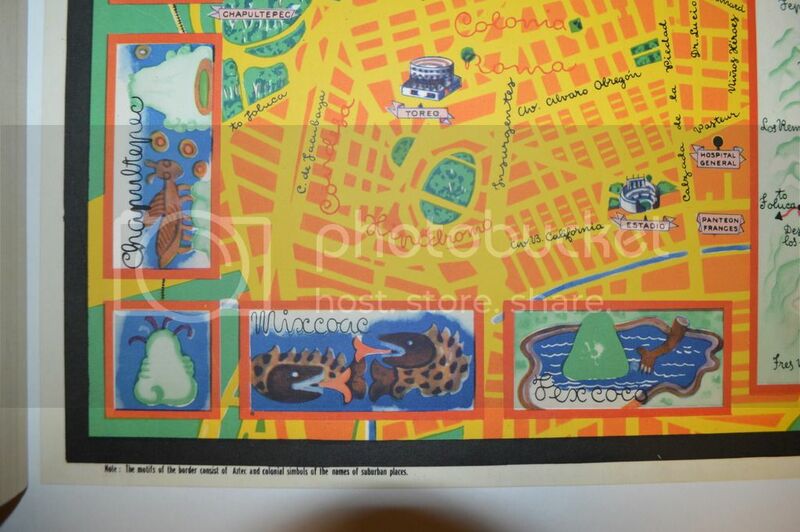 It also comes with a decorative envelope to hold the folded map. 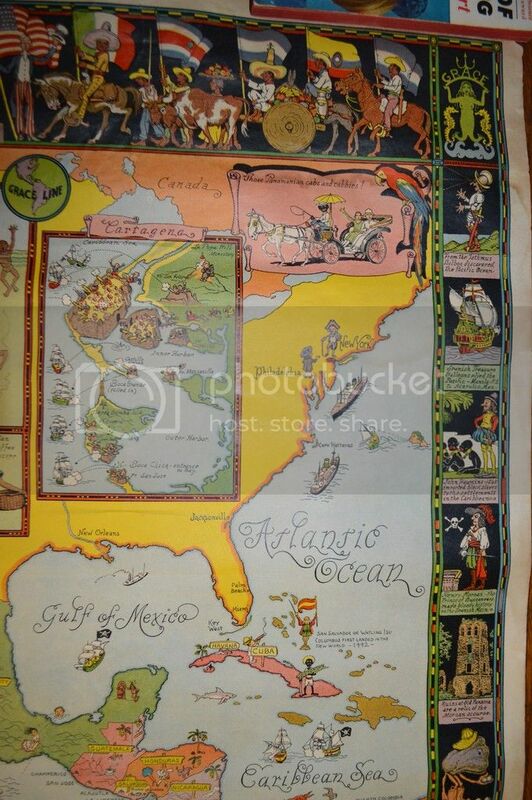 Another cool pictorial map from the 1930's. 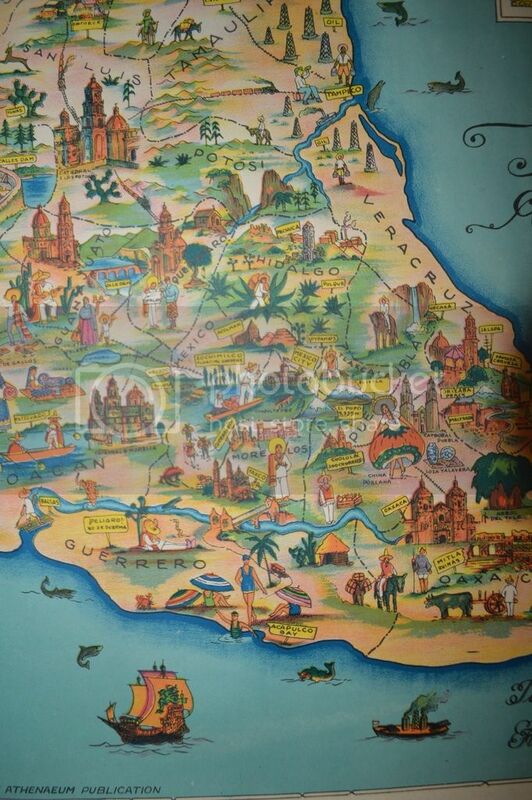 The Story Map of the West Indies. 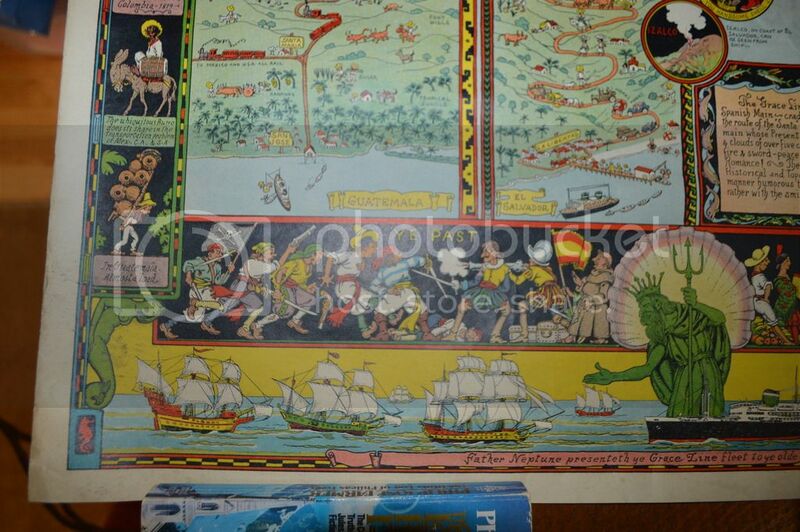 It has lots of nice pirate-related artwork among other things. 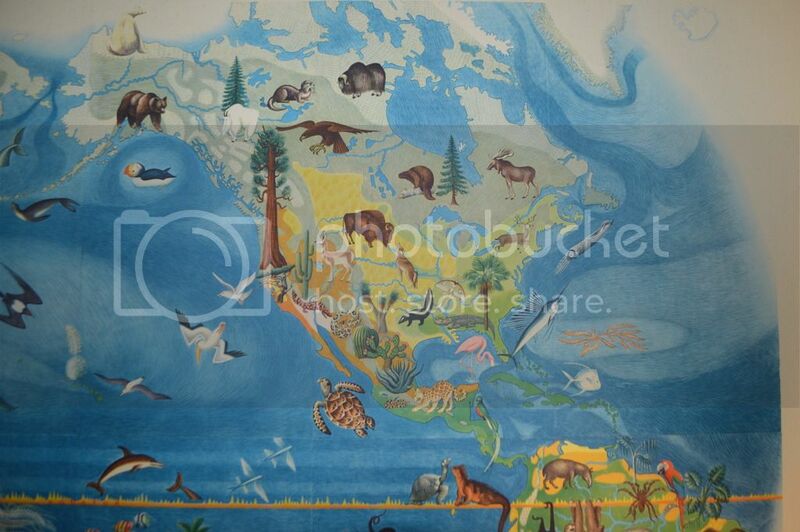 Another really nice map, Deke. 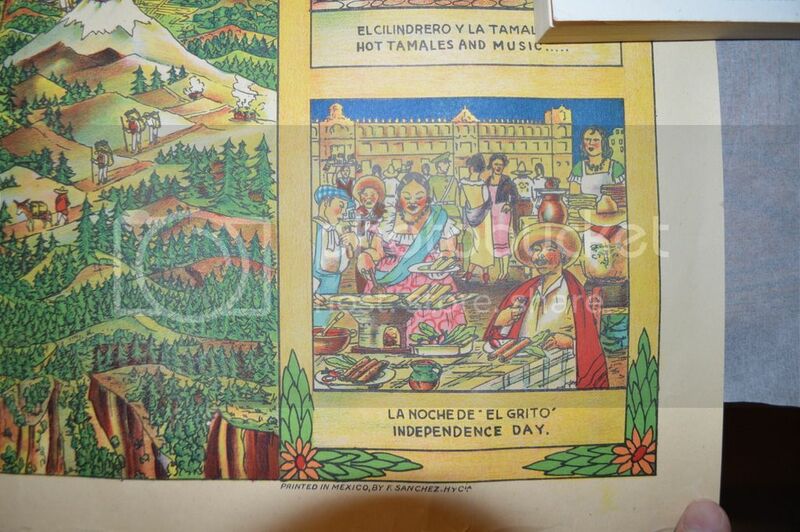 Great imagery and the motifs and design in the border are awesome. 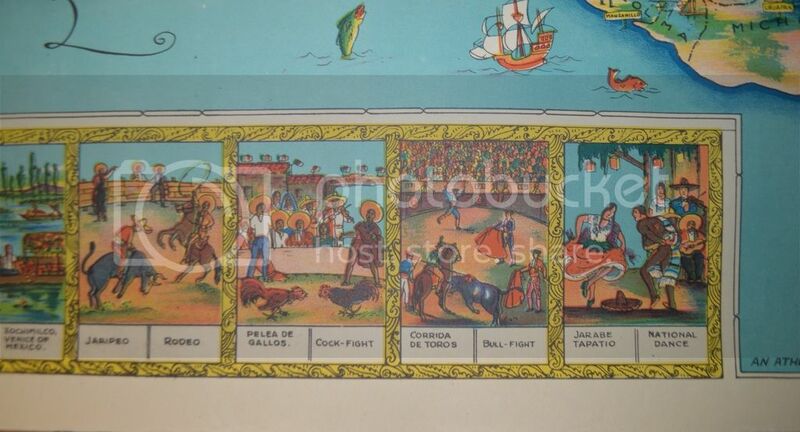 What does the small print on the lower right border say? 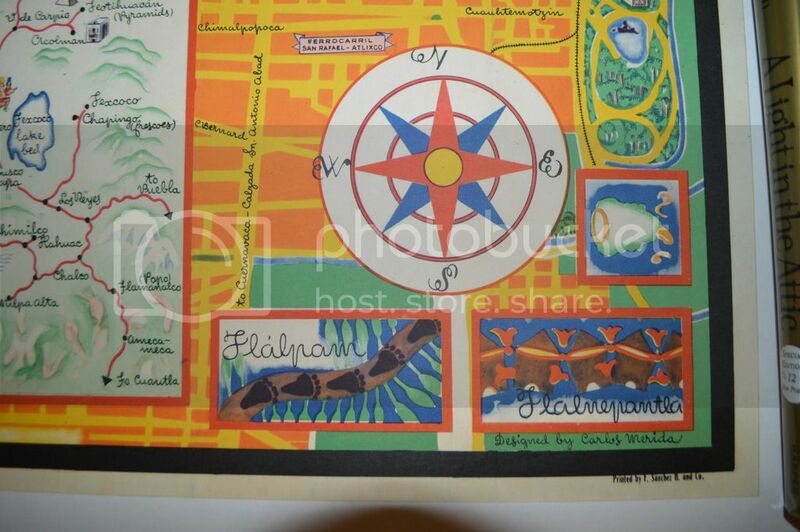 "Border design motif adapted from native West Indian handicraft and indigenous tropical fruits." 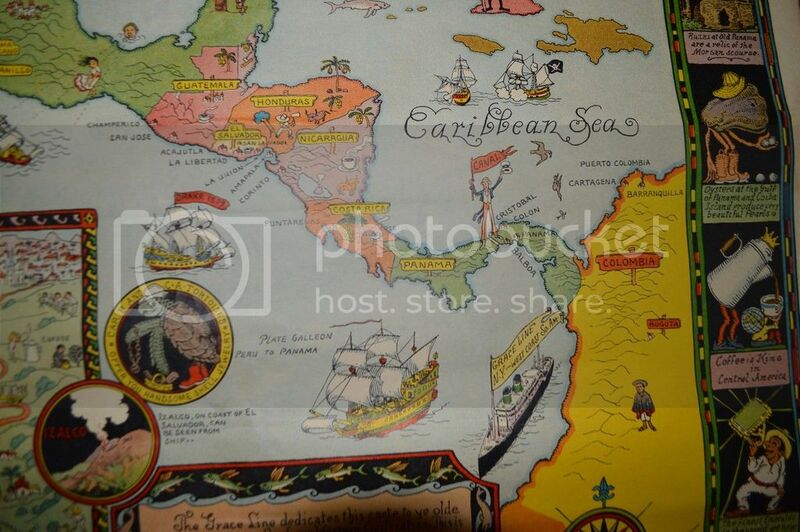 "© Colortext Publications, Inc. Chicago 1936"
It's fun, too, with the exaggerated island size and close distances. 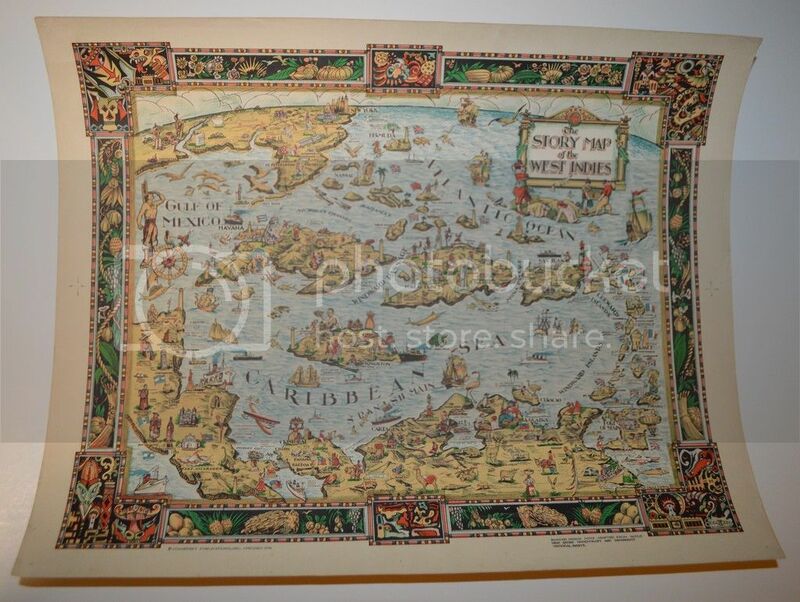 I have this typographical map from Dorthy in the UK. 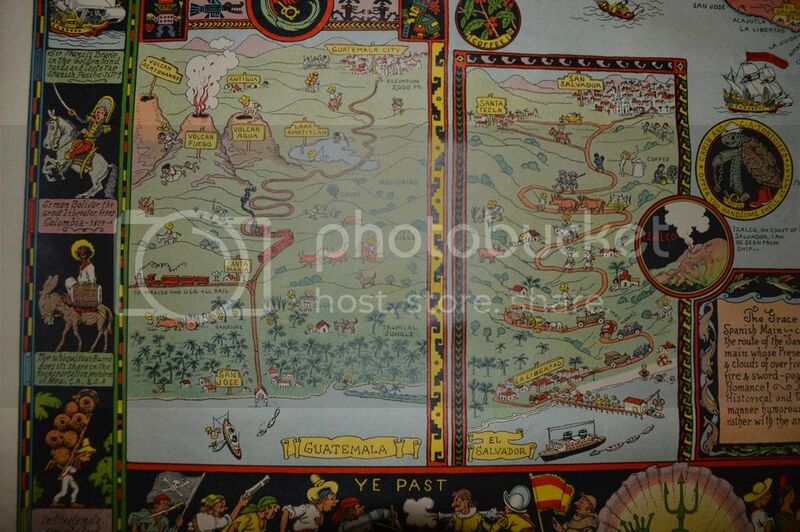 It isn't a pictoral map, but seems to be closely related and is based on films. I also have the music version. A map I tripped across recently. 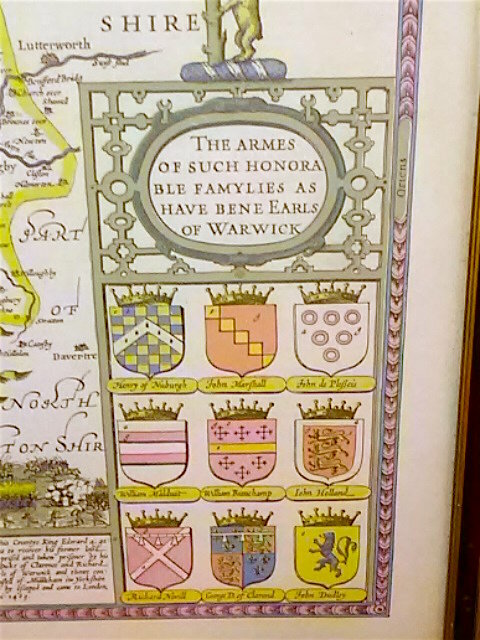 It's a map done by John Speed, of the County or Warwick, for use in his Atlas, published in 1611. 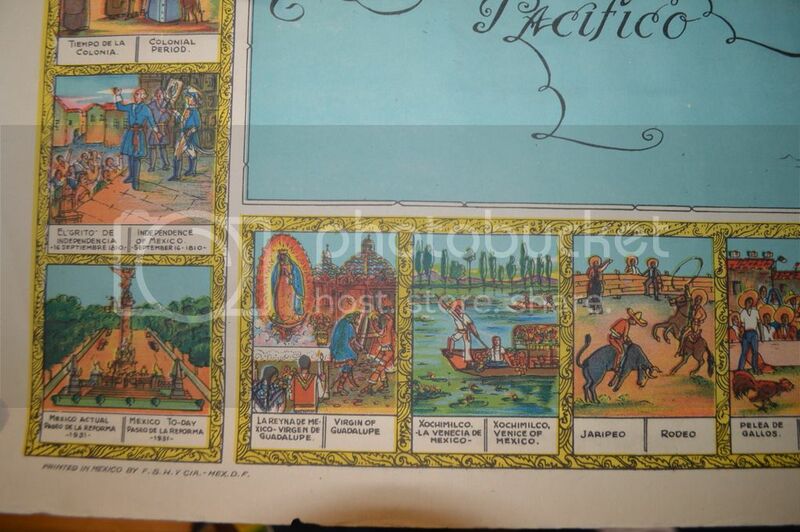 This is a later printed copy but Im not sure of the date. 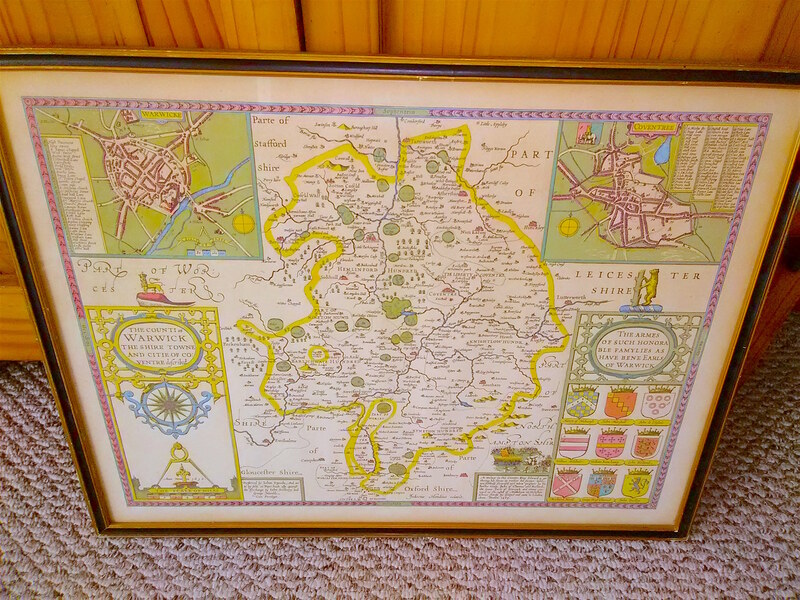 It was framed as I found it, and the sheet measures approx. 16.5 x 21.75 inches. 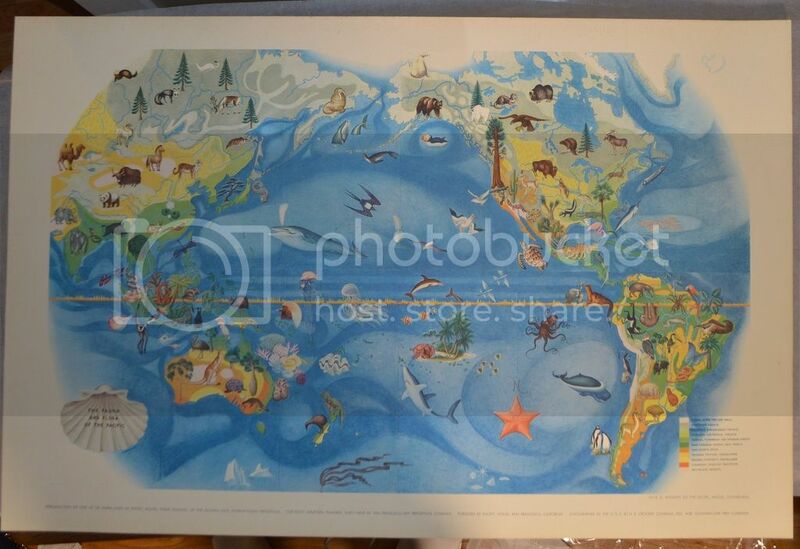 It was framed in a frame shop in the UK, as a light stamp on the back, right corner shows. The frame is a black and gold gilt frame with glass & the framing tape is secure all the way around, along with the old style twisted hanging wire attached with small eye screws on either side. 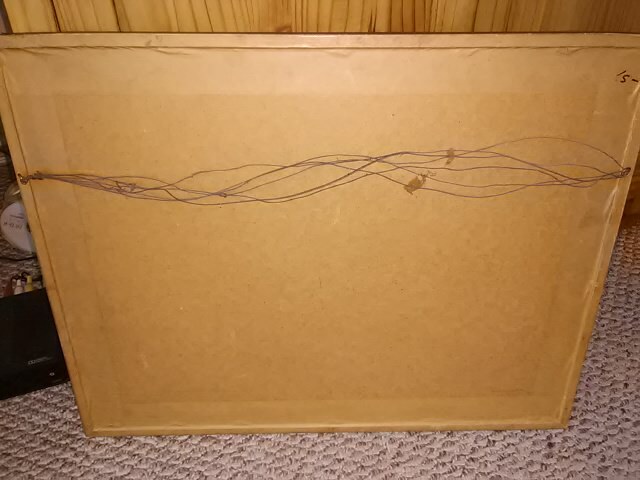 The backing board is held on with nails around the perimeter, that are covered with the brown, paper tape. 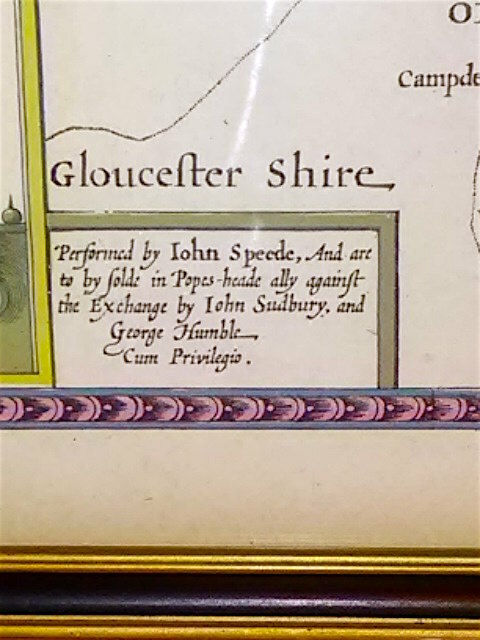 When I found this, and was looking at it under the light and at a slight angle, I could see that there appeared to be columns of printed text on the back of the map, as I could see the impressions of the lettering. 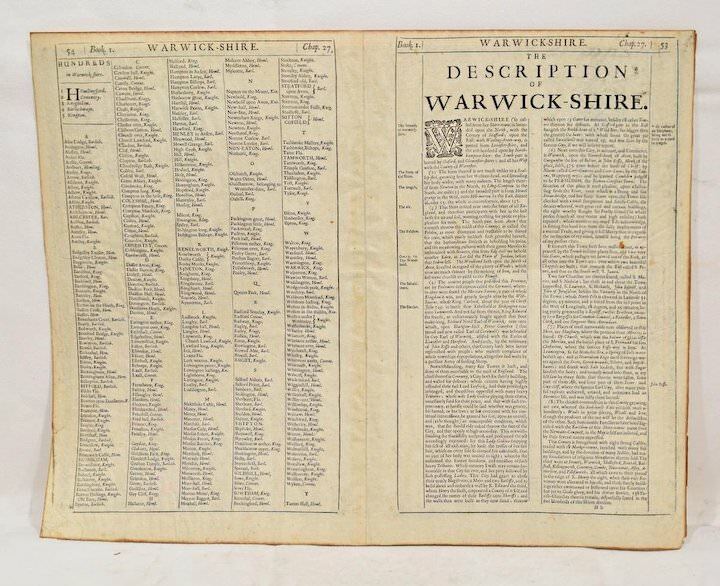 After doing a little more research, I discovered that what is on the reverse is a listing of the various towns and cities in Warwick and Leicestershire, as shown on the map. 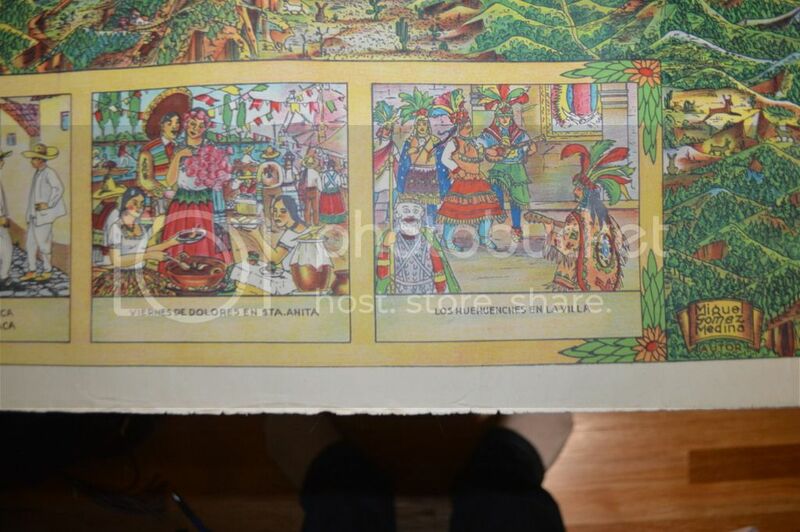 Because I havent decided to open the frame yet and look first hand, I found an image online, that shows this text. Based on the type of frame, frame construction, glass and even the paper toning, this piece was probably framed in the early part of the last century. 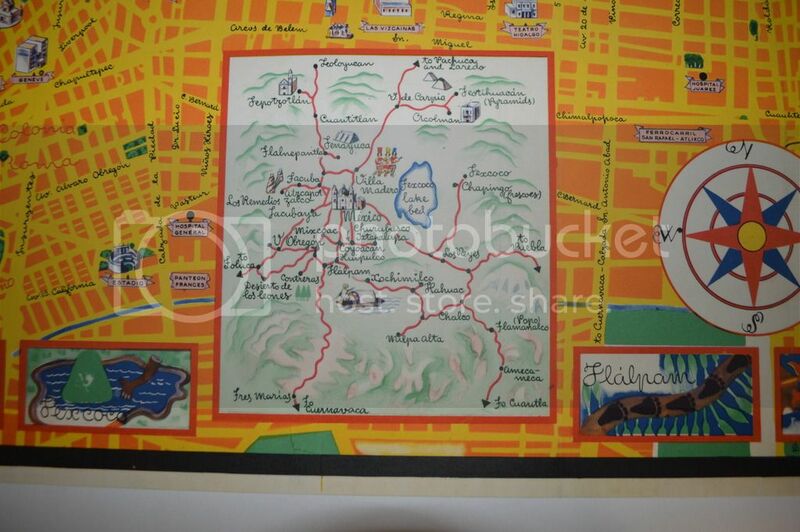 When the map was actually printed, Ive idea, at this point. I know it's not anything close to new, and the impressed text on the back (rather than it being a modern jet print,where the ink lays on the paper) also has be curious as to its age. 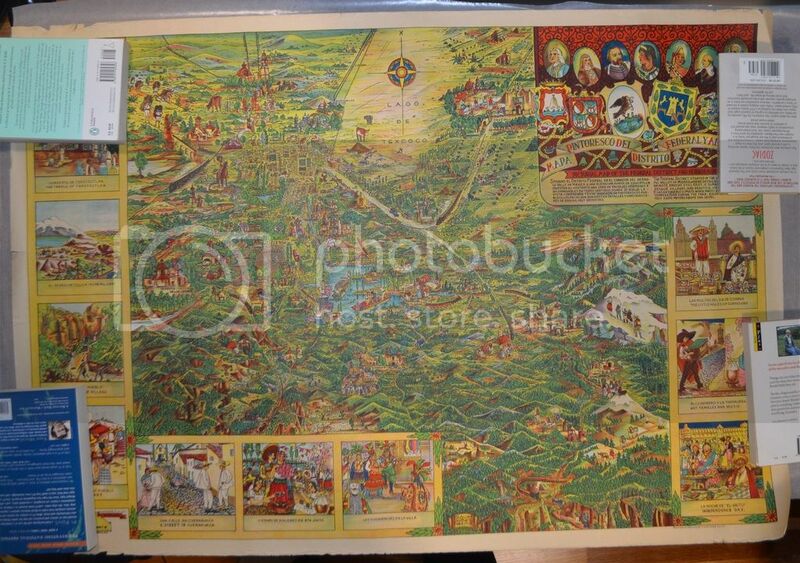 I thought it was beautiful, I really like the old world style, and it was a real bargain, so I snagged it. Looks to be in good shape for whatever age it is. And a happy b-day to you, Okie. I hope it was a fun one for you! v.nice. like frame too, probably heavy due to glass? 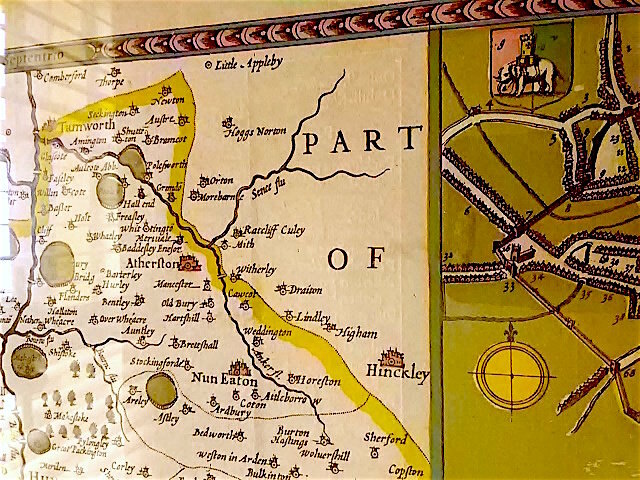 there was a man in England who went around libraries robbing old maps. 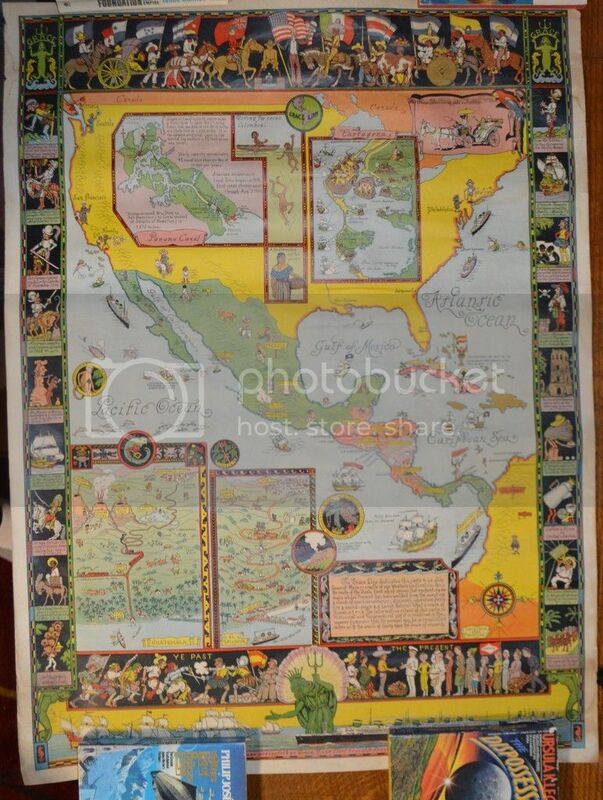 I recently acquired a pictorial map that had been on my want list for a while. It's not common, and I had passed up on a couple in lesser condition, and later had second thoughts about passing on them. But I'm glad I did, because while this one isn't perfect, it presents very nicely. And what awesome, vibrant colors, too. It survived well, over these decades. Congrats on the pickup, especially since it was one you had been looking for, for a while. Yeah, there are quite a few of these (I don't own any though). 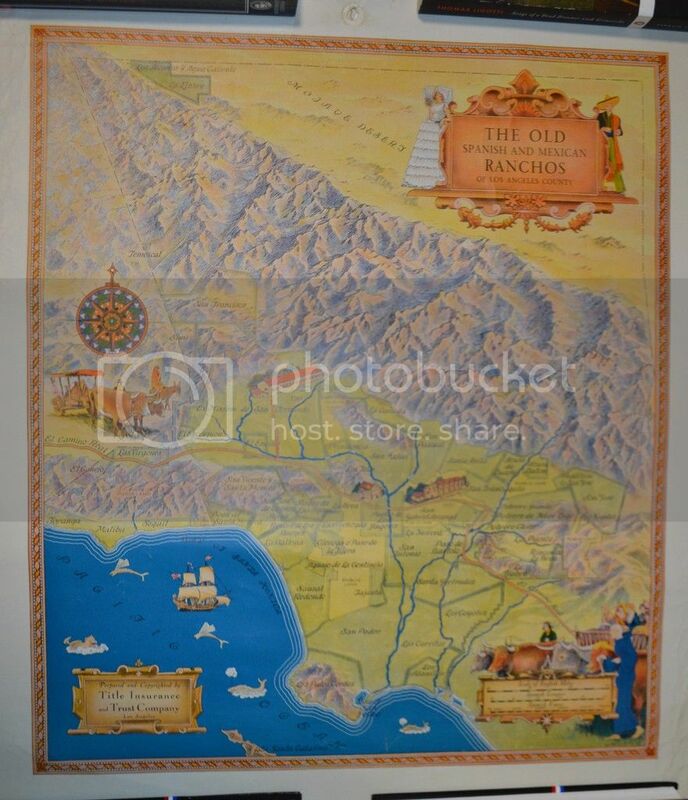 "Insular California" is the term to search for to find such maps.